I know its very popular and been posted about before, but heres is my trip report for Newnes NSW. We head out Saturday Morning to the Glow Worm Tunnel via Chifley Road and State Mine Hill Road, then right on to Glow Worm Tunnel Road. 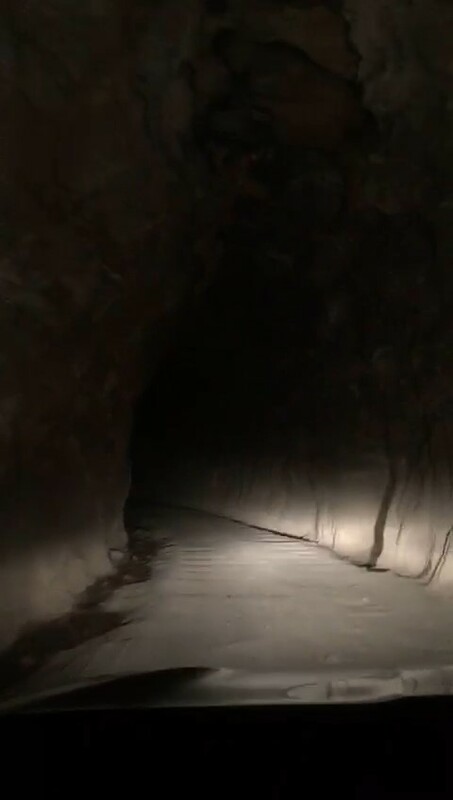 The Glow Worm Tunnel Road was an easy dirt road with a few pot holes. When you get close to the Glow Worm car park there is a cool tunnel to drive through. The Glow Worm tunnel itself is pretty cool, especially when it gets pitch black. The whole tunnel is about 400m long. The below pick is of the far end of the tunnel. On the way back we made a new friend with a red belly. We then headed back along the Glow Worm Tunnel Road and turned left on to Maiyngu Marragu Trail. This trail is actually rated as easy in the 4x4 trail book we have but it was not what i would call easy. It probably was at the limits off how far i was going to push my Forester. Don't get my wrong i have full belief in my forester but i do need to drive my family back home at the end of the weekend. There were a few mud holes that we drove around and others where the bash plate did its job! The final decent was pretty steep, you had to pick the right lines or dents would happen. The pic below shows the bottom of the hill. 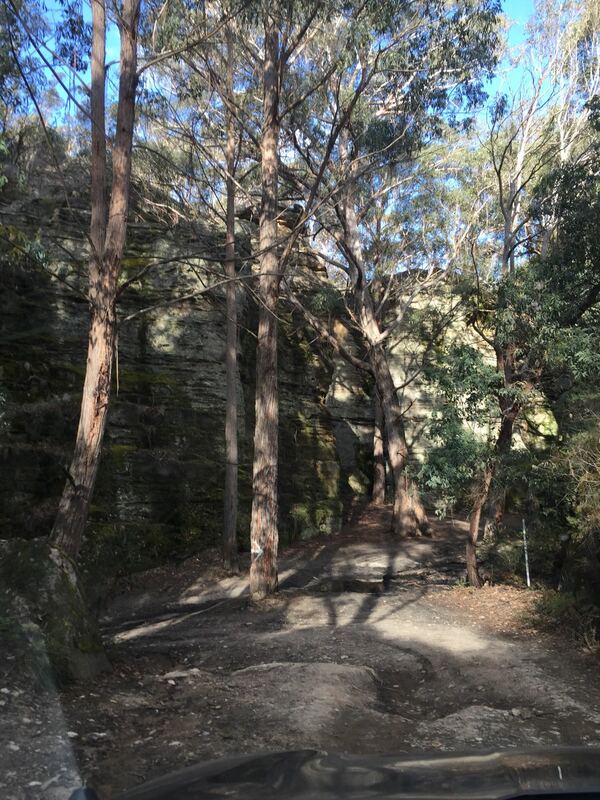 The Maiyngu Marragu Trail is a significant site for the Wiradjuri people (traditional owners of the land). So we stopped to show our respect. 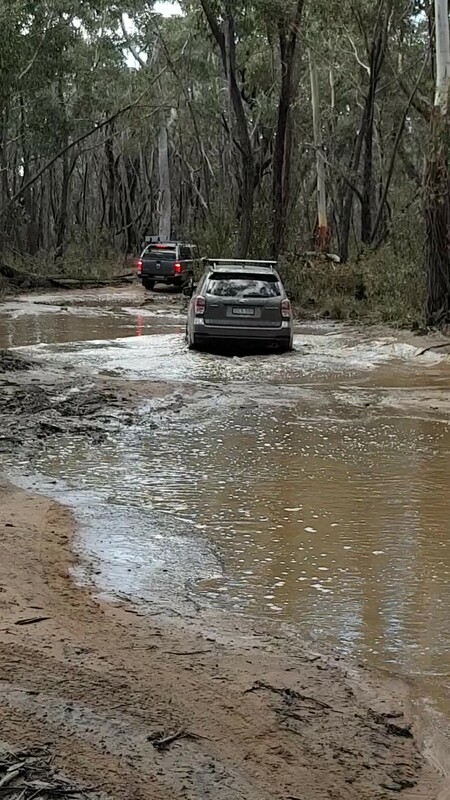 We then took Wolgan Road (hard top) to Newnes camp site. The Next day we went to see the ruins to take a look. The short trail to the ruins has the Wolgon River crossing which is a small/shallow sandy bottom river. But the small decent down to the river ,maybe 2 meters, is fairly step (maybe 20% gradient) and eroded away. As soon as i was half way down, i thought that it might be hard to get back up. After we looked at the ruins we crossed back over the river and i stopped just before i went up the same decent (or ascent now). just 2 D-Max's and another standard ute. But the 4wd's had there 4x4 club logo's on them. So as they saw me coming they gathered around to watch. I stepped out to the Forester and took a quick look to pick my line. Jumped back in and punched that X-Mode button. I started off steady, we got about a half way up and started to loose traction. I stayed steady on the throttle...We started to slip back down. Damn it i thought... Come on "Far Far" (the affectionate name my family has give our car) ... X-mode chattered away for a few seconds, and we started to inch forward again... (Not on my watch said Far Far)...We regained traction and climbed to the top. I gave the 4x4 club people a hang loose symbol and a big smile... they just stood there... and i drove off. Red-Bellied Black. Very common round here. At the end of that down-hill run over on the right is a place we affectionately call "the grotto" - did you take a peep in there? It's beautiful and a nice place to camp as well even if a bit tight but 4 or 5 cars would be alright. No we didn't take a look. The camp grounds were fairly full. I think if you went mid week it would be awesome. its pretty quiet down there in winter.. it gets so bloody cold and little sun!